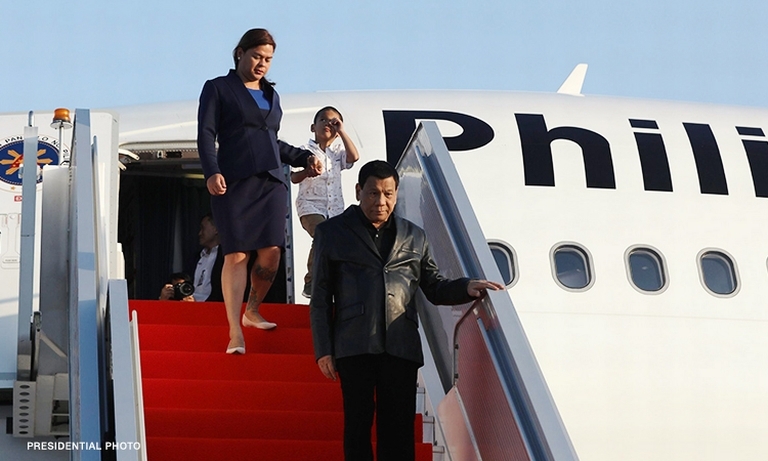 Presidential daughter and Davao City Mayor Sara Duterte and three Boholano Cabinet members will be in Bohol on Friday to establish an anti-drug and –corruption organization in the province. Duterte will be joined by Socio Economic Planning Secretary Ernesto Pernia, Cabinet Sec. Leoncio Evasco, Jr. and Presidential Communications Operations Office Sec. Martin Andanar, who all trace their roots to Bohol. According to Antonieto “Boy” Pernia, Cong. Aris Aumentado’s chief of staff, Duterte and the Cabinet secretaries will lead the launch of Alyansang Bol-anon para sa Kausaban (ABAKA). ABAKA is an advocacy group intended to boost the drive against illegal drugs and corruption, Pernia said. The launching event will be held at the Bohol Tropics Resort in Tagbilaran City. Pernia, who is a member of ABAKA, said that officials of the group will be taking oath before Duterte. Davao City councilors and Philippine Sports Commission Chairman Butch Ramirez are also expected to attend the event. Meanwhile, Duterte is also scheduled to give away school materials to select students of various schools in Tagbilaran City. The turnover of school supplies will be held at the National Irrigation Administration grounds in Barangay Dao.